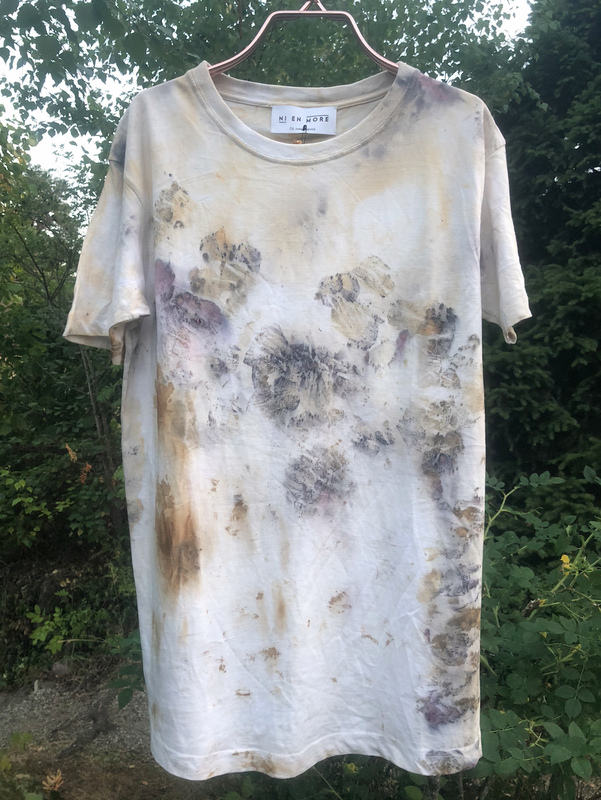 We place the Compost flowers on a white T-shirt and dip the T-shirt in A bath of vinegar and rust from old nails, then steam it for hours. The process turns the natural prints darker and more defined. THe final colors of the prints are determined by the flowers hidden in the compost. As always, The t-shirts are made one by one. Norwegian customers, you can also pay with VIPPS, information will be in the invoice. For international customers, we suggest using PayPal, information in the invoice. If you prefer bank wire, please let us know in the message box. Material: 100% cotton dyed with compost flowers from first production and rust.